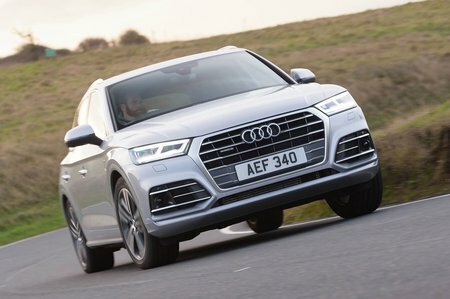 Audi Q5 S Line Review and Deals 2019 | What Car? This mid-range trim takes the sporty look up a notch with larger 19in alloy wheels, more aggressive bumper styling and privacy glass. You also get powerful LED headlights and part-leather seats trim. For us, though, the price jump over Sport is too much for the benefits you get.